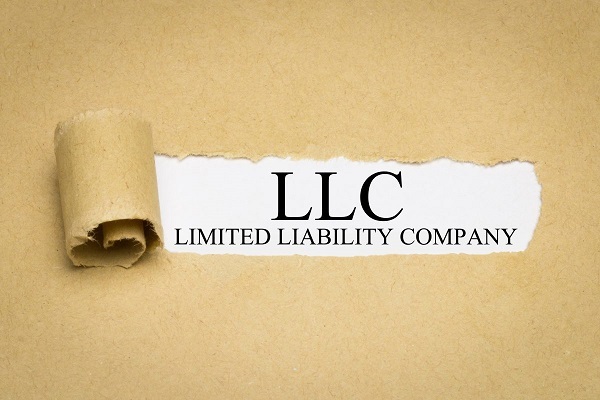 A limited liability company is a business entity established by maximum 50 associates. The business relies upon the foundation documents. In order to establish a SRL Company in Romania clients must know from the start that the registered capital of a limited liability company cannot be less than 200 RON. The registered share capital of a limited liability company is usually split into social parts/shares with a registered value of minimum 10 RON each. If choosing to set up SRL in Romania individuals should be informed that the law forbids the shares of these corporations to be involved for loans or other banking operations. Shares cannot be freely exchanged, making limited liability companies more or less like private companies in other countries. For all persons interested to open SRL Romania it is important to know that Limited liability companies may be formed by only one individual as well. The law stipulates that resolutions are made by mainstream ballot in the General Meeting of the Shareholders (each share represents one vote). Decisions regarding adjustments in the articles of association must be accepted by all shareholders unless these documents do not mention something else. Concerning the process to set up SRL in Romania, we shall mention that at least one Manager should be assigned in the articles of association contract; this is the same person who is also responsible for the management of the company. Nowadays most of the Romanian corporations, regardless of the nationality of their owners are limited liability companies SRL (Societate cu Raspundere Limitata). Limited Liability Company (SRL) is regulated by Law 31/1990 and it can work with one to 50 associates that only answer up to the subscribed share capital. The associates can be either individuals or juridical entities. Either one of the entities can only be a unique associate in only one SRL or a limited liability company cannot have as a unique associate another limited liability company, the unique associate can be an employee of the company in which it is a sole associate. This type of company can be opened through status and company contract. Both of them can be written under one document, known as the constitutive act. The authentic form of the constitutive act is mandatory when amongst the subscribed assets as contribution to the social capital is found a building. The parties who sign the constitutive act, as well as individuals with a determinant role in constituting the company are considered founders. Persons that, according to the law, are incapable or have been condemned for felonies against the patrimony by disregarding trust, corruption offenses, embezzlement, fake offenses in documents, tax evasion, offenses provided for by Law no 656/2002 for preventing and sanctioning money laundry, as well as implementing measures for preventing and fighting terrorism acts, republished, or for felonies provided for by the current legislation. The social capital of a SRL cannot be smaller than 200 lei and will be divided in equal social parts, that can’t be smaller than 10 lei. The social parties cannot be represented through negotiable titles. The limited liability company must fully bear the subscribed share capital at the date of the constitution. For the SRL with a unique associate, the value of the capital in nature will be set based on a specialized expertise. The company is the juridical person from the registration date into the commerce registry. The enrolment is made in 24 hours from the pronunciation of the delegated judge decision through which the enrolment of the company is authorized. The delegate judge’s conclusions regarding the enrolment in the commerce registry are enforceable and are only subject to appeal. The appeal deadline is 15 days and starts from the pronunciation date of the conclusions for the parties and the date of the conclusion publishing. The associates’ decisions are made in the general gathering. Through the constitutive act, the voting can be set to be made by correspondence as well. The general gathering decides through the vote representing the absolute majority of the associates and the social parties, except the case in which the constitutive act provides otherwise. For decision regarding changing the constitutive act all associates votes are necessary, except in the case where the law or the constitutive act provides otherwise. Administrators are obligated to ask for a general gathering at the social office at least once a year, or any time necessary. An associate or a number of associates, that represent at least one quarter of the social capital, will be able to ask for a general gathering by showing the purpose of this meeting. The convening of the meeting will be made as provided in the constitutive act, and in the absence of a special disposal, through registered letter, at least 10 days before the set date, by showing the agenda for the day. A limited liability company cannot release bonds. Social parts can be shared between associates and the transfer to outside individuals is permitted only if it was approved by associates representing al list 3 quarters of the shared capital. The transfer of the social parts can operate, in the absence of opposition, at the expiration of the 30 days term, and if there was an opposition, at the date of its dismissal. Transferring the social parts must be registered in the commerce registry and in the associates’ register of the company. The transfer takes effect towards third parties only after the registration in the commerce registry. The act of transferring social parts and revised constitutive act with the identification information of the new associates will be submitted to the commerce registry office in order to be revised and registered. The company must have, through the administrators responsibilities, an associates register, where there will be written, name and surname, home address or headquarters of each associate, each associate share of the subscribed capital, social parts transfer or any other change regarding all of the above. Administrators are directly and personally responsible for any damage occurred by not meeting the provisions regarding the register of associates. This register can be controlled by associates and creditors.